Just because you have an apartment doesn’t mean you can’t express your own style and creativity. Every home, big or small, requires a few essentials. 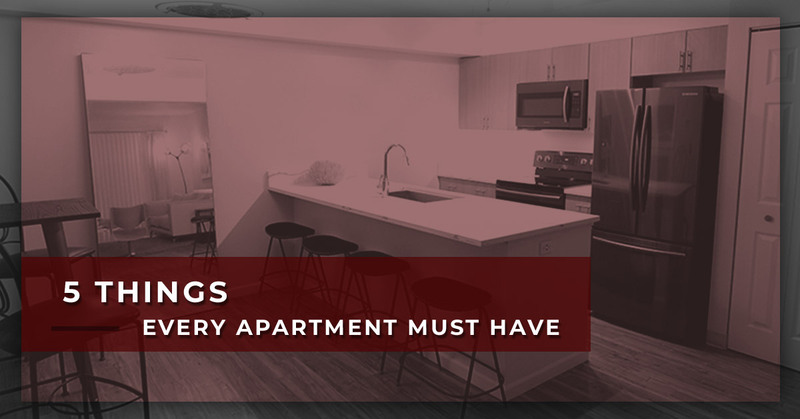 With that in mind, let’s take a look at the five things every apartment must have. We’ve all been in homes where it’s dark and underlit. Unfortunately, poor lighting can make any space feel smaller and unwelcoming. So before you get too far ahead of yourself with decorating your apartment, be sure there’s sufficient lighting in each room. Ideally, you will want three points of light in every space. It should become apparent fairly quickly that the right lighting setup makes a huge difference. There’s no need to break the bank on these products, either. No, we’re not kidding. Routine cleaning is a must if you want a comfortable living space. Regardless of the size of your apartment, you should try vacuuming once a week and probably more frequently if you own any pets. Maybe you’ve been searching for that final touch to the apartment and just can’t think of any good ideas. Our advice? Consider the addition of plants and fresh flowers. Not only do they enhance the aesthetics of your living space, but they help keep the inside air from getting overly stuffy. Since you’re living in an apartment, you probably don’t have the freedom to give your kitchen, living room, bedroom, or bathroom a fresh coat of paint (even though it might desperately need a refresh). So then how do you go about giving these rooms pops of color? Frankly, your best bet may be to invest in artwork. Whether you purchase a few prints at a retailer or choose to display some of your own personal creations, you’ll find that artwork is one of the easiest ways to make your space feel homier. This might be the most obvious one of the five. Sure, it’s fun to go on a shopping spree and select new decor for your apartment. But what really adds a personal touch to this space are a few items of sentimental value. This is your chance to show off favorite pictures of family members, friends, and other loved ones. While you certainly don’t want to go overboard, it may be worth your while to purchase several nice picture frames. Maybe you just started an apartment search but can’t really tell the differences between complexes. Here at Gateway Place Apartments, we have one- and two-bedroom units for rent featuring fireplaces, washes/dryers, and open floor plans. 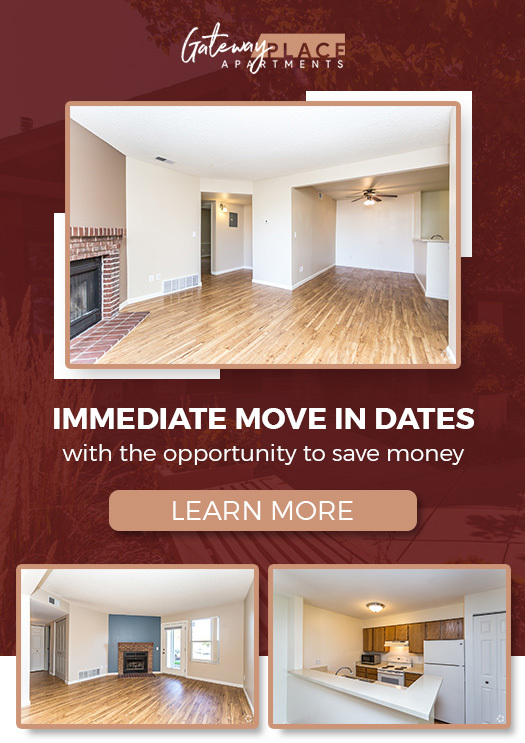 In addition to these apartment amenities, we have a private community that features lush landscaping, a 24-hour fitness center, swimming pool, extra large dog park, and much more. We invite you to see for yourself what makes Gateway Place the standard for apartment living in Northern Colorado. Contact the front office today to schedule a tour.